NASHVILLE, Tenn. – It came out of the chute as the week’s Most Added Record. Thirty-two weeks later David Lee Murphy returns to No. 1 on Billboard and MediaBase’s Country Singles charts. “Everything’s Gonna Be Alright,” a duet with co-producer Kenny Chesney, is a song that affirms the power of positivity in a world that can seem out of control. It also affirms the power of a great song, a classic voice and hard work from a label dedicated to their artists. Having spent the ensuing years writing songs that have been hits for Chesney (“Pirate Flag,” “Living in Fast Forward”), Jason Aldean (“The Only Way I Know,” “Big Green Tractor”), Blake Shelton (“The More I Drink”), Thompson Square (the GRAMMY-nominated “Are You Gonna Kiss Me or Not”), Gary Allan (“A Feelin’ Like That”), Jake Owen (“Anywhere With You”) and Reba (“Red Roses (Won’t Work Now)”), Murphy has returned to being an artist with real passion. 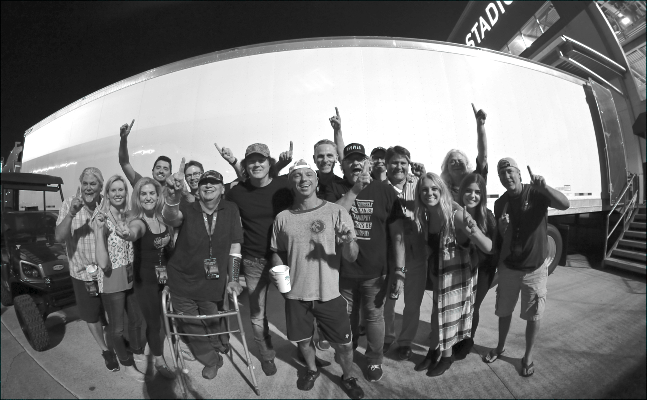 In addition to appearing at many of Chesney’s stadium shows, the Southern Illinois musician has been playing dates on his own. It doesn’t hurt when you have a song that affirms how hard people work, the way life gets tangled and some basic bar wisdom, over a feel-good groove and an unforgettable chorus, either. But David Lee Murphy isn’t the kind of artist to say that, which is part of why years later, he’s back at the top of the country charts.